603 Dundalk Ave Ste D Baltimore MD 21224. 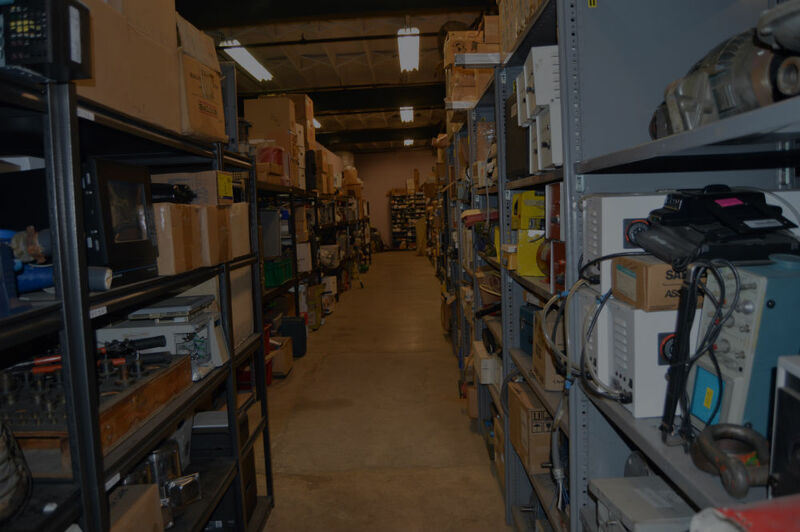 We provide an outlet for businesses with surplus equipment. At Equipment Recycle we connect buyers and sellers. Equipment Recycle is a full service equipment broker with over a decade of dealership experience. Your company is downsizing, old equipment is being updated, your business is closing etc. We have helped thousands of satisfied customers make the acquisition- or liquidation-processes easier. Equipment Recycle provides Auction services. A fast way to liquidate business assets or if you have a more than one item to sell. Equipment Recycle can take possession of the equipment, or you can keep it until there is a buyer. Outright purchasing is a great option if you need to quickly clear a space or convert assets. Have questions? Need a quick response? We use Equipment Recycle to purchase various items for us online. From a trailer load of roofing shingles, IT equipment, and office furniture, they always get us great deals. We update our CPR training equipment every couple years. Equipment Recycle purchases our old equipment – it helps offset the cost of new equipment. When we moved into our warehouse there was machinery left behind. Equipment Recycle sold it, and we have used them to sell our surplus equipment since. Our company does rigging and demo all over the East coast. Whenever we come across equipment we send Equipment Recycle pictures. We pack it up and they arrange pick up. 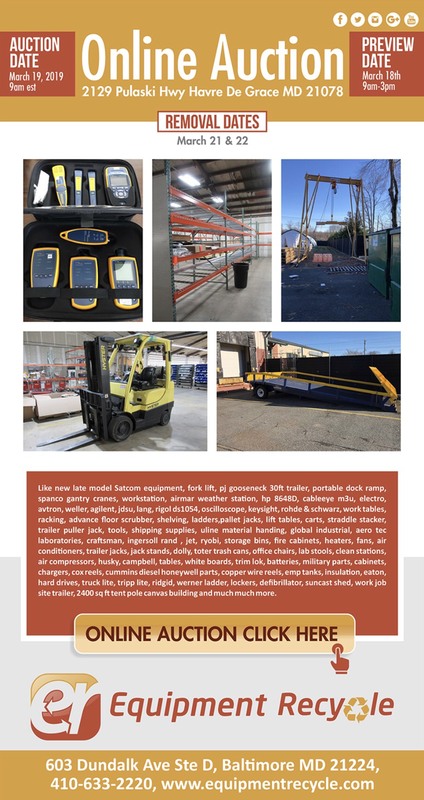 They warehouse, sell, and ship equipment that was once scrap. Whenever we have surplus equipment we call Mike at Equipment Recycle. They let us know what it’s worth and list it online. We closed one of our restaurants and Equipment Recycle helped us sell our equipment. We didn’t have to move a thing – they either picked up or brought the customer directly to us. We have purchased and sold various equipment (vehicles, forklifts, welders) with Equipment Recycle. They always make online transactions easy. Equipment Recycle is a full service equipment broker with over a decade of dealership experience. We provide Auction, Consignment and Outright purchase services.